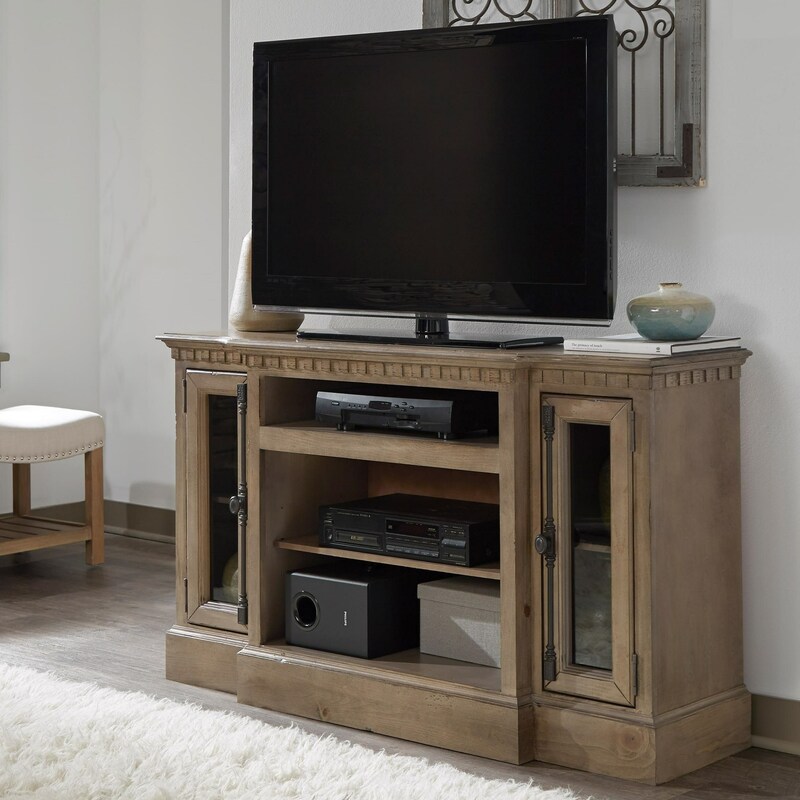 Dentil molding, raised panels, and a breakfront design offer impressive detail to this TV stand. Its antique mist finish is a hand-applied multi-step finish with hand-distressing, subtle rub-thru, and dry-brushing. The Andover Court 54" Console with Breakfront Design by Progressive Furniture at Zak's Home in the Tri-Cities, Johnson City, Tennessee area. Product availability may vary. Contact us for the most current availability on this product. Storage Wooden and glass doors, adjustable shelving, grommets for wire management. Will accommodate most sound bars. Browse other items in the Andover Court collection from Zak's Home in the Tri-Cities, Johnson City, Tennessee area.